July 15, 2018 0 comments on "Orange Julius Bars"
When I was a kid I loved going to Orange Julius at the local mall. It was also fun to make Orange Julius drinks at home and we made them all the time for a special treat. I still have the cookbook that Orange Julius recipe was in! Recently I ran across this recipe for Orange Julius bars and had to try them. I knew my kids would love them, and I was right. They’re great and really easy to make. *Note: Six ounces is half of a can of frozen orange juice concentrate. 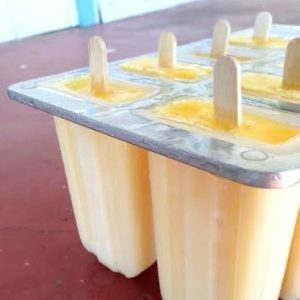 If you have enough popsicle molds you can easily double this recipe and use the entire can, which is what I did. A double recipe made 8 large popsicles and several smaller popsicles. Amazon sells a great popsicle mold that you can use over and over again. I love it, it is my favorite popsicle mold. 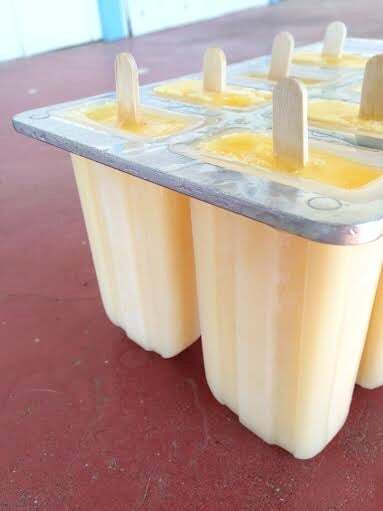 If you don’t have popsicle molds, you can also just use Dixie cups and popsicle sticks. Stir the melted orange juice concentrate together in a bowl with the milk, water, sugar, and vanilla. Pour into popsicle molds and freeze. Enjoy! 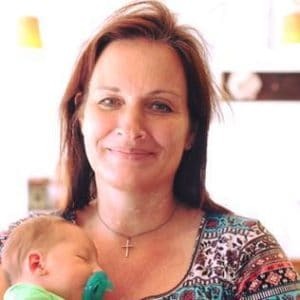 Follow my Favorite Recipes on Pinterest.